University of Houston-Victoria students take a break from community cleanup in the Florida Desire Community on Thursday during an Alternative Spring Break trip to New Orleans. Eleven UHV students participated in cleanup efforts from March 11 to Saturday to encourage people to move back to the area. They also made repairs to homes damaged during Hurricane Katrina and spent time at a No Kill animal shelter. In the evening, students had the chance to sightsee in the New Orleans French Quarter, and learn about the city’s history. 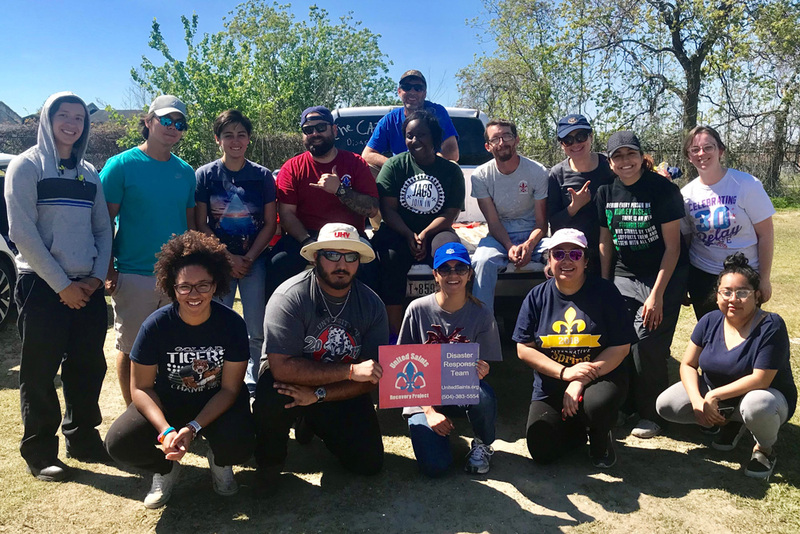 This was the fourth year UHV offered an Alternative Spring Break trip. 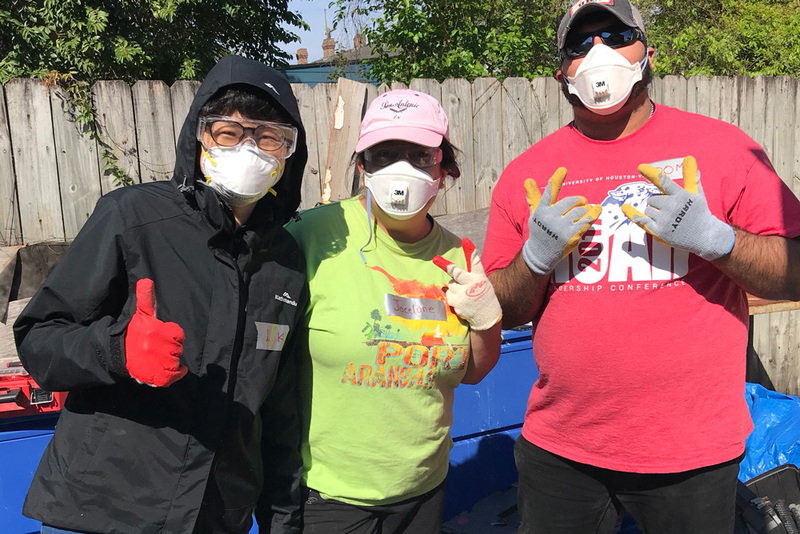 University of Houston-Victoria students Kam Lee Kheng, left, Jocelyne Martinez and Dominic Flores, take a break on March 13 from helping a woman whose home was damaged during Hurricane Katrina during an Alternative Spring Break trip to New Orleans.